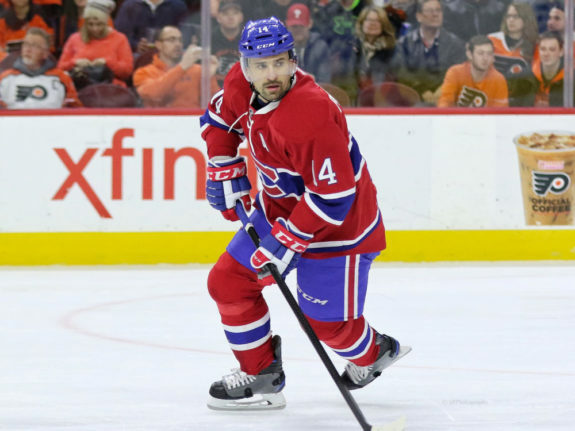 It would make for a great story if the Montreal Canadiens were able to re-sign free-agent Tomas Plekanec. That’s for sure. What isn’t for sure is if it would have a great ending or not. Plekanec, after literally years of speculation that this would be his last one as Hab, was finally traded away to the Toronto Maple Leafs at the trade deadline. Now a pending unrestricted free agent, the Czech center, who had spent his entire 13-season career up to that point with the Canadiens, has now expressed interest in returning. If it happens, Plekanec, with 981 games played with the Canadiens (998 in all), would have a chance to reach 1,000, becoming in the process just the sixth in the history of the team to do so. That would be an impressive accomplishment and perhaps worthy of a deal on the cheap all on its own, “on the cheap” being the operative terminology. Sure, Plekanec enjoyed a relatively impressive playoff series against the Boston Bruins (two goals, two assists) before the Leafs got eliminated, but it means very little in the grand scheme of things. The Canadiens wouldn’t be signing him for his output in the playoffs anyway. That’s based both on popular opinion that he rarely showed up for the team in past playoffs and, fresh off a 71-point season in the standings, the Habs don’t necessarily have their eyes on a long playoff run. Just making them would be an achievement at this point. As such, it’s his recent regular-season success Canadiens management would have to take a look at… and it’s not great. He may have finished strong as a Leaf, but, in the 17 regular-season games immediately prior, he scored just two assists. Combined with his 24 points in 60 games as a Hab, he actually ended up scoring less than he did in 2016-17, when he had just 10 goals and 18 assists, totals which were way off the ~50 points per year fans had grown accustomed to getting from him. That Plekanec outscored the likes of star Auston Matthews (one goal, one assist) in the playoffs is a nice factoid, but one small sample size does not outweigh the hit his stats have taken over the last couple of seasons. So, if he were to come back, it would have to be as a depth forward and his contract would have to be commensurate with such a role. That would mean him taking a huge cut from the $6 million per year he just earned. Only if he’s okay with that one condition should negotiations even start up. That’s even with the excessive amount of cap space the Canadiens have. Because, sure, the Canadiens could probably re-sign Plekanec no matter what the cost, but he should not be the priority, with the team precariously weak down the middle. 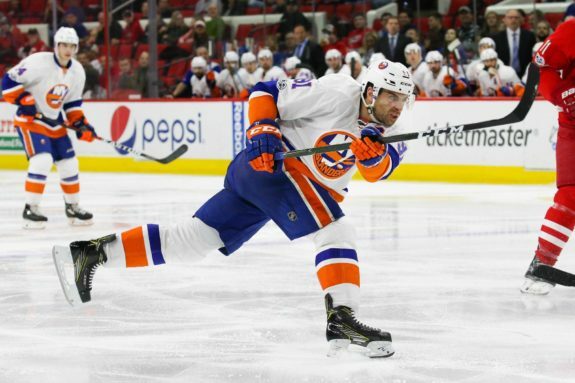 The big fish this summer is obviously John Tavares and it would be a huge disappointment and a (further) indictment of general manager Marc Bergevin’s tenure if all he could land was Plekanec instead. Put it this way: It’s pretty much Tavares or bust, with Paul Stastny and Joe Thornton clocking in as the only second-tier free agents at center. Below them is fellow-Leaf Tyler Bozak, who, just to put it in the proper perspective, had the same amount of points as Plekanec these past playoffs. No one is clamoring for the Habs to sign him, though. Maybe one or two rungs below him? That’s where you would find Plekanec. In other words, Plekanec should be the gravy this summer, not the main course. Only once Bergevin addresses his actual needs should Plekanec become a priority, because re-signing the center is the plot twist everyone sees coming. It may lead to a happy ending to Plekanec’s career, but likely a non-playoff finish for the team as a whole. That’s been done to death, recently.